Hawkeye Village is a general access area. Private space is available for an additional fee. Groups of 20 and more will be welcomed on the Hawk vision scoreboard inside Kinnick Stadium during the game. Contact Bravo Sports at 319-626-8286 for more details. *All prices are per person, group discounts are available. 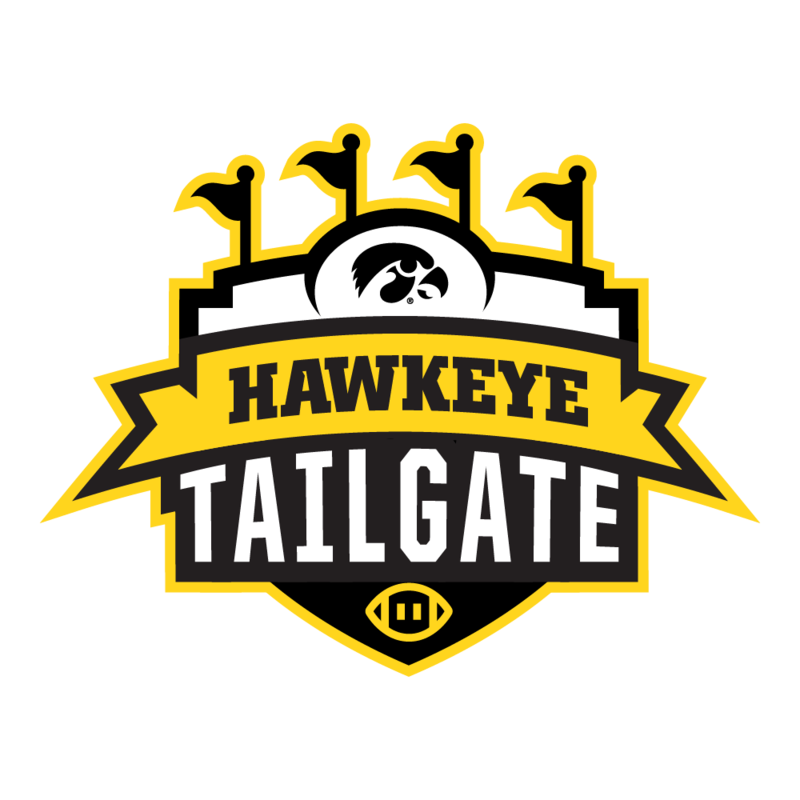 The Iowa Hawkeyes invite select communities to take advantage of discounted group tickets to select games as well as the option of joining other community members at the Hawkeye Village tailgater. The award-winning Hawkeye Marching Band will perform their traditional pre-game Rec. Building show one hour and 15 minutes before kick-off. The Rec. Building opens two hours before kick-off at both the Southeast and Northwest doors. The HMB show will begin one hour and 15 minutes before kick off, lasting approximately a half hour. Fans can view the show from west side and entry/exit lanes to the south of the track. Security screening will occur for entry to the building. Sealed bottles of water are allowed while all other beverages and food will remain outside. The Rec Building on game day doesn’t serve as a tailgating location or weather shelter. It is the home of the HMB pre-game concert and our Bag Drop-Off service. Fans accessing the Bag Drop-off service in the Southeast corner will enter at the Southeast doors, not through the building. Our new, world-class, raised indoor track is not available to fans during the show. Following the HMB concert (approximately 45 minutes before kick-off), all fans will depart the Rec Building. The Southeast entrance remains open throughout the game (and one hour after) to accommodate fans utilizing the Bag Drop-Off service. Building access is limited to the Southeast Bag Drop-Off area. Fans of the Iowa Hawkeyes are some of the loudest and proudest in the country and we are thankful for their enthusiasm. However, a very small number of fans can have a negative impact on the game day experience of fans around them. Please help us in our effort to make game day at Kinnick Stadium a fun and enjoyable experience for everyone by reviewing the information below and taking a moment to "Think Before You Drink." Tailgating that includes the responsible and lawful use of alcohol is permitted within the parameters determined by law and University rules and protocols. On football game days only, beer and wine are allowed in UI parking areas. Patrons and ticket holders are advised that state law prohibits hard liquor consumption of possession of an opened bottle of hard liquor on public property, which includes UI parking lots and ramps. Beer trucks, kegs, open bars and people in possession of exorbitant amounts of alcohol will not be permitted in any UI parking area, including parking ramps. Violators will be asked to leave University property immediately. The University reserves the right to search patrons for alcoholic beverages. Any persons who appear intoxicated will be refused entry into the stadium. In an effort to encourage an enjoyable experience for all fans attending games at Kinnick Stadium, persons who appear intoxicated or those possessing or drinking alcohol in unapproved areas of the stadium will be ejected without refund and are subject to arrest. If you tailgate the night immediately prior to game day, please remember that possession of an open container of beer, wine or consumption of hard liquor is prohibited by law on public property. Anyone in possession of an open container (including beer, wine and hard liquor) while walking/driving to University property on the public sidewalks and roads will be issued a citation and the beverage will be confiscated. The State of Iowa's minimum legal drinking age is 21. Law enforcement will stop anyone who appears to be underage transporting beer and other alcoholic beverages. If underage, a citation will be issued and all alcoholic beverages will be emptied. Speakers that can stand alone or are connected to an amplifier are prohibited. Small "boom boxes" are permitted but the sound cannot extend past your tailgate area. Live musical bands are not allowed at tailgating sites. This policy is intended to protect the enjoyment of other fans. Musical tastes and tolerable noise levels vary greatly from tailgate party to tailgate party. LP and charcoal grills and LP heaters; when temperature warrants, are permitted in parking lots but are prohibited in parking ramps. Please do not place used charcoal, embers, or ash in trash cans, under trees, or leave it in the parking areas. LP grills or heaters are limited to one, 20# LP cylinder per device; no spare or additional cylinders will be allowed. Open wood fires or wood fires enclosed in portable fire pits are not permitted. You're invited to enjoy the atmosphere around Kinnick Stadium on football game days. The restrictions on tailgating hours have been relaxed, provided that tailgating is done responsibly. However, tailgating will not be allowed following games starting after 6:00 p.m.
Inflatables such as balloons and blimps are prohibited from being flown or tethered from vehicles parked in the lots. Drones are not allowed without prior permission from University Police. Reason: Tethered inflatables and drones of any kind pose a danger in addition to creating a safety risk for others in the parking lots and to air ambulances arriving and departing from UI Hospitals and Clinics. It is your responsibility to secure tailgate items prior to entering the stadium. You should lock food, beverages and valuables out of sight in vehicles; extinguish all fires or flames; unplug all electrical outlets; secure barbeque pits, chairs, and ice chests; and store alcoholic beverages in locked containers. The University of Iowa cannot ensure the security of tailgate areas. You can report emergencies (medical or intolerable behavior) by calling the Game Day Hotline (319) 384-3000, or by sending a text message to 69050, then type the word IOWA followed by the issue and the location. Tents, tarps or canopies are not permitted if they impede foot or vehicular traffic or if they extend into an additional parking space, except in authorized areas. 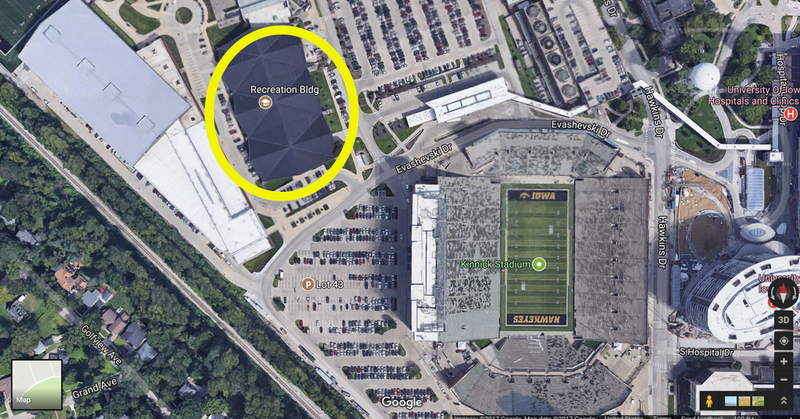 There are a limited number of parking spaces on the University of Iowa campus for the 70,000 fans that attend games. It is important to make every space available for parking. They can also cause tailgate parties to overflow into travel lanes causing a hazard for other vehicles and the passage of emergency vehicles.